Ralph Rolle ( www.ralphrolle.com ) is master percussionist from The Bronx New York. As far back as he can remember has always marched to the beat of a different drum. He began playing professionally at the age of 18. It is therefore no surprise that with almost 3 decades of professional experience within the music industry Ralph Rolle enjoys an illustrious career as a much sought after drummer and producer. 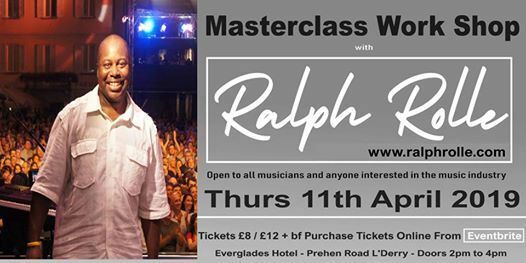 A masterclass with Ralph Rolle, best known as drummer with Nile Rodgers and Chic. 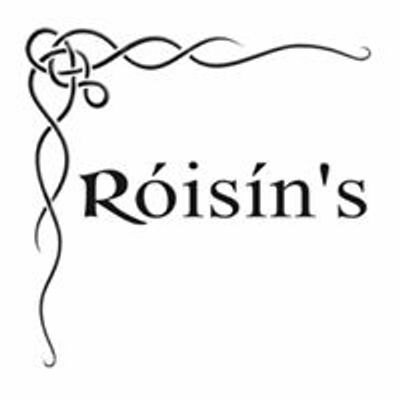 Ralph has also played or performed with Prince, Bono, Roger Daltrey, Lady Gaga, Stevie Wonder, Aretha Franklin, LL Cool J, Gwen Stefani, D’Angelo, Biggie Smalls and many, many more. 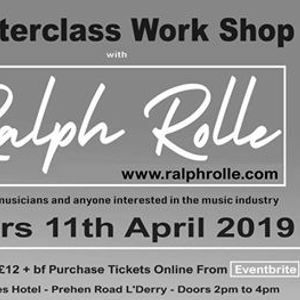 You don’t need to be a drummer to attend this masterclass, if you’re a musician, an aspiring musician, want to work in the music business or just love music, you will learn and enjoy this session as Ralph shares some of the insights he’s gained in his 40 years as a professional musician. The venue is small and intimate so you will have the opportunity to see this legendary drummer up close and personal! Tickets are limited due to the size of the venue. Visit Ralph’s website www.ralphrolle.com to learn more about his career and masterclass content.